Do you experience a twinge of pain in your back or lower back on frequent occasions? Then, you are not alone. About 80 percent of adults experience back pain at some point in their lifetimes. 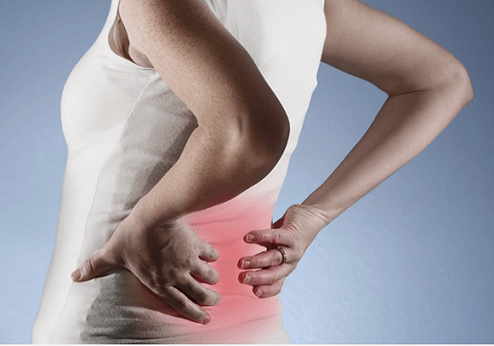 The cases of back pain have increased in recent times due to several reasons. With the increasingly busy lifestyles and hectic work schedules, the stress levels have also increased. It has caused a lot of troubles, one of which is back pain. According to a Statista Survey, “From 1997 to 2015, the percentage of adults reporting back pain remained relatively unchanged, with 29.1 percent of adults reporting such pain in 2015. Back pain is more common among older adults and among women.” It further stated that from 2017, 29 percent of U.S. adults suffered the pain due to stress, while 26 percent considered weak muscles or lack of exercise, and another 26 percent blamed physical work. Today, men and women are equally affected by back pain, which can be either acute or chronic. Apart from stress, sitting for prolonged hours, avoiding frequent body movement, incorrect postural habits, and sleeping positions equally contribute to your trouble. Herniated disc, sciatica, lower back pain, spine troubles are some of the common issues people suffer. If you are suffering from back pain, consider taking these precautions. Most of us have sedentary job profiles that require us to sit for long hours. If you are suffering from back pain, then make sure you stand up from your place every half an hour or 45 minutes and walk around for 2 minutes. In other words, do not forget to take a two minutes break at regular intervals away from your desk. Moreover, if you are sitting, you can try some stretching exercises that you can do on your desk itself. Many of us are lethargic about doing exercise regularly. However, they not only keep us fit and healthy, but they help you deal with your routine aches. Doing certain stretching exercises can be immensely helpful in alleviating back pain. Therefore, stick to your fitness regimen if you want to keep aches at bay. When you are suffering from back troubles, do not lift any heavy objects. It may put a strain on the muscles and add to your problems. Even if in any case, you require to do so, then cut it into smaller lifts and breaks. One of the causes of back pain is frequent forward bending. We all have the habit of leaning on our desks while working, which can put pressure on the back and produce pain. Moreover, it can also affect your posture and create troubles in other body parts. If you require to bend in any case, do it with your knees, keeping the back straight. If you have back pain and have the habit of smoking, then you should seriously think of quitting it. Yes, you read that right. Studies show that smoking can cause low back pain. We commonly prefer doing heat or ice packs for subsiding pain, which comes as the first resort. However, if you do not find these treatments effective in your pain, then you should better stop them and consult an expert without a much ado. Apart from taking medications, you can also consult a physical therapist for addressing your back pain accurately. They offer the most relevant and suitable therapies and techniques to help patients alleviate their back troubles. Moreover, there are different kinds of therapies and techniques that work differently in the healing process. Among various physical therapy treatments, massage therapy is commonly and widely used by physical therapists to heal different back troubles and conditions. Let us know how massage therapy can be beneficial in alleviating back pain. As we know that increased stress levels can be one of the causes for having back pain, massage therapy helps you relieve it. When your physical therapist offers the therapy, it relieves all your muscles and relaxes you. When you get the massage therapy, your blood circulation improves easily. It loosens the stiffened muscles and tendons, which contributes to the improved blood flow. As a result, it can have numerous positive effects on your overall body, apart from relieving the pain. The main purpose of the therapy is to lessen the pain. Physical therapists offer the most suitable techniques to help you deal with your troubles in the most efficient manner. They address the symptoms and determine the cause of the pain, before giving the treatment. Therefore, they exactly know how to reduce your trouble. The primary goal of physical therapy is to help you increase your flexibility and strength by reducing the pain effectively. These experts provide the most suitable techniques to help restore the movement and increase the range of motion. Often, you may not be able to have a sufficient sleep due to several reasons. It may also affect your backache and create other troubles as well. Taking massage therapy can help you improve your sleep. When your body is relaxed, your mind will naturally tend to calm down, resulting in a good sleep. Massage therapy is known to boost your mood. It makes your body and the mind calm, which keeps fatigue, anxiety, and depression at bay. When you sit for long hours, your muscles get stiffened. As a result, you experience sharp pain in the back. Massage therapy will relieve these muscles and tendons. Physical therapy acts as one of the most helpful resources for healing aches. If you are suffering from back pain or other for a long time, then do not waste a moment and visit a physical therapy center near you. Treat your pain right away before it starts ruling your life.